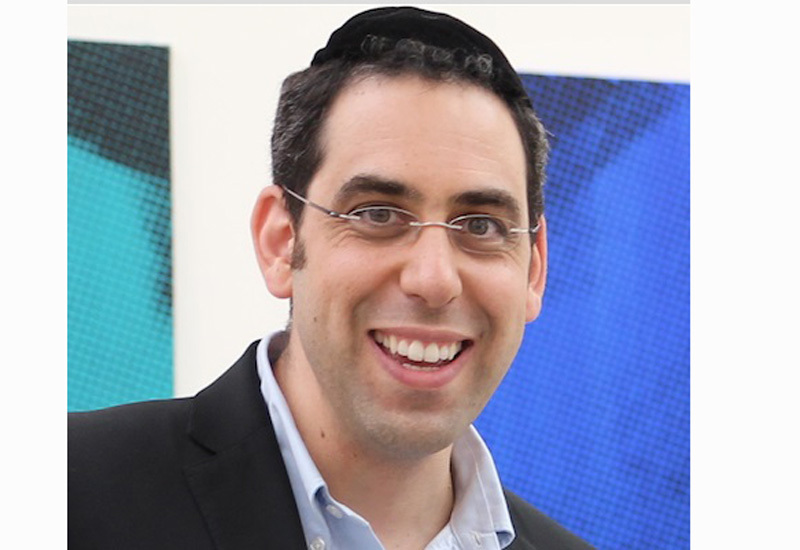 Latest issues focus on synthetic diamonds, Las Vegas and copyright. Professional Jeweller’s July issue and the debut edition of our new title BenchPro are now available to read online at the click of a mouse. 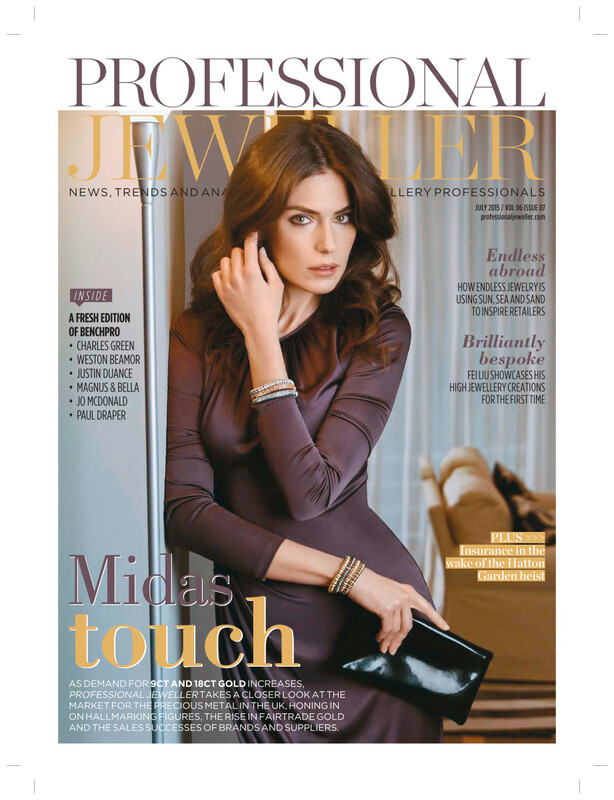 The new digital editions can be read using our page-turning technology, with the full issue of Professional Jeweller followed by BenchPro online here. This month, Professional Jeweller gets to grips with all that’s vibrant in jewellery right now, with a closer look at the sparkling JCK Las Vegas and Couture shows and an in-depth interview with IJL event director Sam Willoughby, who discusses the show’s new features and new Olympia location. Professional Jeweller assistant editor Sarah Louise Jordan finds out whether social media is working for retailers, and gleans advice from ChannelAdvisor about improving relationship and communication online. This month’s issue also looks at a growing sector of jewellery retail, through design collaborations with museum exhibitions. We discover how designers are teaming with museums and leading exhibitions to create special jewellery collections that not only raise their brand profiles, but allow them to explore new retail realms. Kathryn Bishop interviews Lola & Grace general manager Nina Muller, discovering what the Swarovski jewellery brand has up its sleeve for the UK and Europe, following a successful launch and its first major appearance at BaselWorld. Muller also reveals key design trends driving its range and reveals why the UK is the perfect location in which to launch a new brand. This month’s Trends focus takes a closer look at the vogue for stacking bangles, and the big brands sweeping the consumer charts in the US and UK with their spirituality-inspired designs, including Alex & Ani and Chrysalis. Don’t forget to delve into our new products pages, where we showcase a metallic array of new jewels, from cocktail rings by Rebecca and bold silver bracelets from Buddha to Buddha, to dainty floral rings from Domino and chocolate diamond drop earrings at Links of London. Finally, check out Professional Jeweller’s Social Lite pages to see whether you were snapped on the scene at jewellery events last month. On to BenchPro, we present our inaugural issue of this new title from the Professional Jeweller team, dedicated to UK jewellery manufacture and designers working at the bench. In this introductory issue we round up the latest news headlines from the world of making, mining and design, with guest columns from Charles Green apprentice Connor Hill and EW Adams’ managing director Ed Adams. Sarah Louise Jordan hears from a cross-section of UK manufacturers and designers, who discuss the latest issues facing the UK jewellery industry, the changes impacting their working process and what consumers want from their jewellery today. BenchPro also speaks with Anti Copying in Design (ACID) head Dids Macdonald, who advises designers on how best to avoid being copied by major players or other designers. 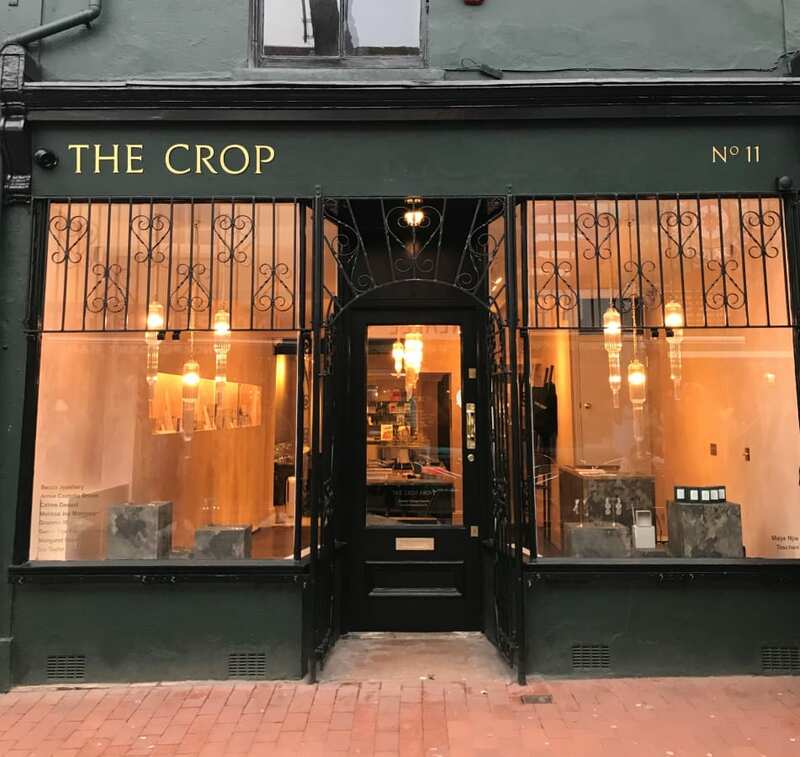 We also meet the retailers that are merging making and selling, placing their workshops centre-stage within their retail premises, revealing how pieces are made to the public and giving consumers greater insight into how their fine jewellery is made. We also showcase The Goods – this month’s new product pics, from bespoke packaging services from InterPak, to fresh platinum shanks from Hockley Mint and a build-it-yourself bench organiser by Cookson Gold. 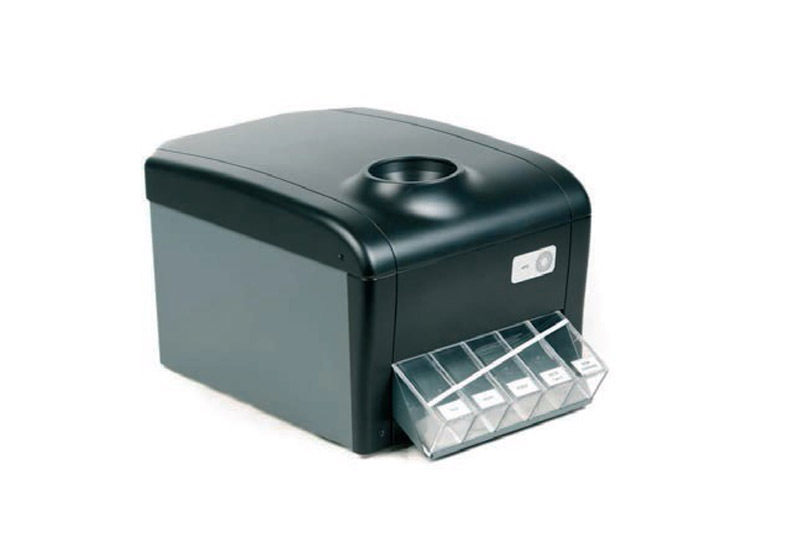 Finally, Laura Gravestock rounds up which tools and pieces of kit she can’t live without, and tells the story behind each bench accoutrement and how it helps her working processes. 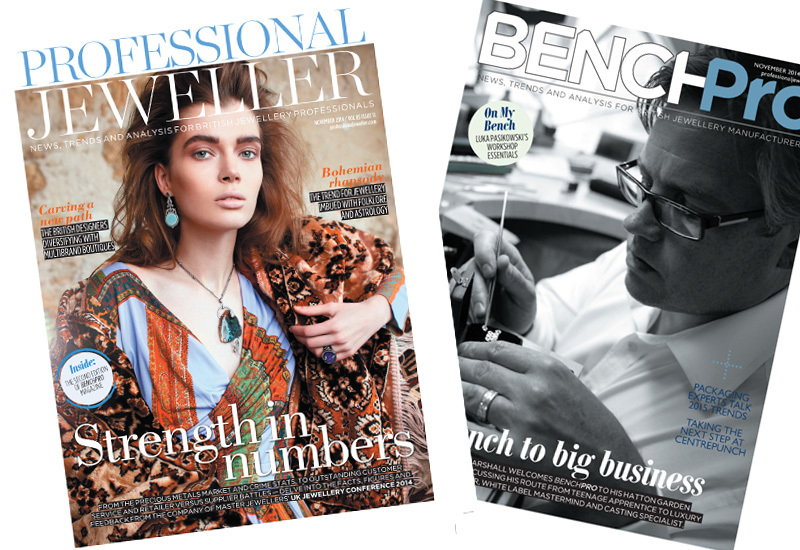 To read the July issue of Professional Jeweller and the debut issue of BenchPro online, click here. To subscribe to the monthly magazine for free, click here.